As I was the only person on the beach this a self portrait using the self timer of my camera. It was a cloudy summer morning on Islay, but if you look closely you’ll notice the clouds breaking up on the horizon. 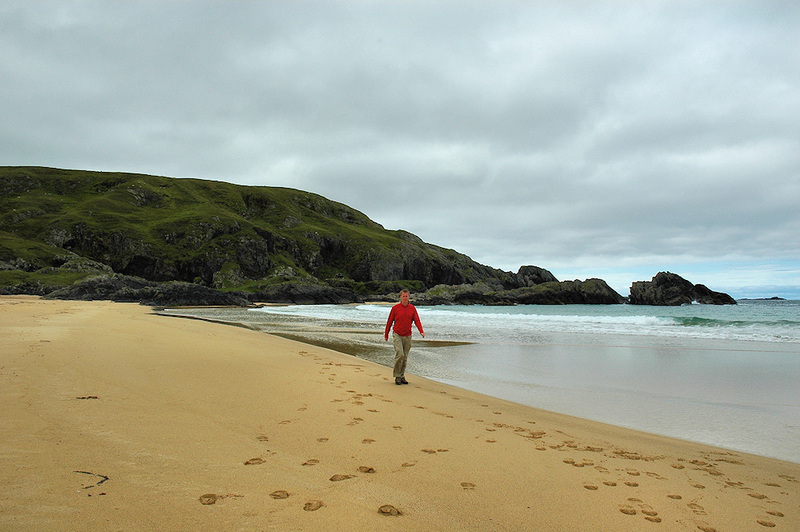 It turned out to be a glorious sunny day later at Lossit Bay on the west coast of the Rhinns of Islay.